Everyone wants to hit high notes. Freddie Mercury, Bruno Mars, Sara Bareilles, Adele, Demi Lovato. They can all sing high notes flawlessly. But if you can’t sing high notes yet, don’t let it get you down. Anyone can sing high notes. It just takes a certain amount of practice and the right vocal technique. If you want a vocal program that will take you through all these singing techniques, you can check out my complete singing course, Master Your Voice, here. But for today, let’s talk about how high notes are produced, then we’ll discuss how to get them in your voice FAST! To understand high notes, we need to cover how the voice works. 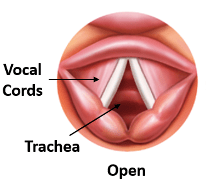 All singing is produced by the vocal folds, or vocal cords. The vocal folds are a pair of folded mucosal membranes that stretch across the inside of your larynx (a.k.a. voice box). When you breathe, the vocal folds open to allow air through your windpipe. But when you speak or sing, the vocal folds come together to resist the air from your lungs. By resisting the air, the vocal folds create vibrations. Those vibrations are shaped and resonated by your throat, nasal cavity, tongue, teeth and lips. This all combines to create your unique voice. Where Do High Notes Come From? To understand high notes, let’s look at the vocal folds themselves. First of all, the vocal folds operate a bit like rubber bands: they can thicken and they can stretch. In order to sing low notes, the vocal folds must be short and thick. For high notes, the vocal folds need to be long and thin. 1. Grab a rubber band and put your index fingers on the inside of the hole so you can stretch it easily. 2. Bring your fingers close together, so that the rubber band is very loose between them and use your thumb to flick the bands. Take note of the sound you hear. 3. Now stretch the rubber band apart by pulling your index fingers away from each other and use your thumb to strum the bands. Take note of the sound. You should notice that when the rubber band is stretched, the tone you hear is higher than when it’s loose. That’s because when the rubber bands are loose, they are vibrating together very slowly. But when you stretch the rubber band, the bands vibrate together quickly and you hear a high pitch. The vocal folds work in the same way. Short thick vocal cords = low notes. Long, thin vocal cords = high notes. High notes are just vibrations produced by long, stretched vocal folds. This also means your range (how low or high you can sing) is determined by how much your vocal folds can shorten or stretch. Vocal range and voice type play a huge role in your high notes. As a matter of a fact, I’ve written an article on the different voice types such as bass, tenor, alto and soprano. But here’s a great cheat sheet with the different voice types so you can find your vocal range. So if you’re interested to know your voice type and hear different examples in popular music, check it out. No matter your voice type, almost any singer can hit high notes. However, the most important thing is that those notes sound good. So before you focus on whistle register or how to sing vibrato, let’s focus on making high notes comfortable. The range of comfortable notes in your voice has a name: Tessitura. Tessitura is important because there’s no point in hitting high notes if they hurt. Audiences are smart and they can tell if you’re straining for a note outside your comfortable range. So today, let’s expand high notes in your tessitura. That way, you’re hitting beautiful high notes WITHOUT straining. What High Notes Should You Expect from Your Voice? What high notes should you shoot for in your voice? In the voice types cheat sheet , I listed the different voice types and the highest comfortable note (tessitura) you can expect from each. Remember that these notes are your maximum comfortable pitch. So just because you’re a tenor doesn’t mean that you have to sing a C5 today. Instead, think of this as a guideline for notes you’ll eventually be able to hit comfortably. Obviously, it’s important that you’re comfortable when you expand your vocal range. So there’s no point in shooting for a note outside your range and straining your voice. Now that we know how high notes are produced and what high notes you can expect in your voice, let’s talk about the different ways of hitting them. There are the 3 Modes for hitting high notes. Now, before we discuss each of these modes, you should know that each one is totally legit. In other words, you may have heard that singing high notes in your chest voice or mix voice is wrong. As a matter of fact, we’ll see each mode of singing high notes has its own place in finding your vocal style. You should practice every mode for hitting high notes. Especially if you break or strain when singing high notes, don’t give up until you’ve perfected each of these modes. There’s a good chance that by learning to hit high notes in a different way, you’ll start singing higher than ever. Now that we’ve gotten that out of the way, let’s talk about hitting high notes with chest, head and mixed voice. It almost sounds like a foreign language. But if you haven’t heard the terms chest voice and head voice before, don’t worry. Back in the old days, singers found that notes at the bottom of their range resonated in their chest. You can see this for yourself by placing your hand against your chest and saying your name at a loud volume. You’ll probably feel a buzzy vibration against your hand as you say your name. This happens especially on low notes. The same singers also found that singing higher notes tended to resonate in their head. So they dubbed this resonance Head Voice. I’ve written another article about the head voice register you can check out. Place your hand on the back of your neck and sing a high note on the word “wee” (as in “week”). This tends to happen on high notes. It’s hard to say when people started using the term “mix voice” but we know who made it popular: an opera-trained singing teacher named Seth Riggs. In the 1970s, Mr. Riggs began teaching pop superstars like Stevie Wonder, Michael Jackson and Bette Midler to sing with a mix. Unlike singing in pure chest voice or head voice, Mr. Riggs believed that singers could be taught to mix them together. The resulting sound had the strength of chest voice but on notes that were normally way up in the head voice range. Seth Riggs’ methods became so popular that he founded a teacher-training program called Speech Level Singing. I’ve written an article about Speech Level Singing, which explains SLS and the other most popular singing techniques. But for now, just understand that this approach was revolutionary! For a long time people believed you could either sing notes in a strong chest voice or a breathy head voice. People thought there was no in-between. But Seth Riggs and Speech Level Singing showed that anyone could hit high notes with the power of their chest voice. This was called singing with a mix. With the help of modern science, we now know that you’re not really singing from your chest or head cavities. All singing comes from the vocal folds. Those low, chest voice notes are really just coming from short and thick vocal folds. Those high, head voice notes are really coming from long, thin vocal folds. Here’s what the cords look like in head voice. And the mix voice comes from cords that are stretched like in head voice but with vertical depth like we have in chest voice. It doesn’t matter whether you’re singing from your chest, head, or back teeth as long as it feels comfortable and sounds good. Now that you understand the terms chest, head and mix, let’s discuss each mode of hitting high notes. We now know that the chest voice is produced by short, thick vocal folds. Singing high notes with chest voice is called Belting. Belting happens when we take the thickness of the chest voice up into the head voice range. There are 6 strings on a guitar. They go from very thick (the low E string) to very thin (the high e string). If you’ve ever played guitar, you know that when you’re playing on the low E string, as you go up in pitch, at a certain point it makes sense to switch to the lighter string above it. That’s because you get more flexibility and a cleaner sound by playing those high notes on a lighter string. But sometimes you want that gritty, full sound in your guitar riff. So you may decide to play the whole riff on the low E string, even if it is harder on your fingers. 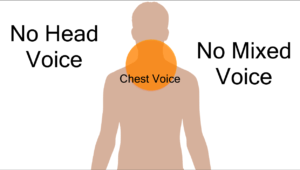 You get the same powerful sound when you bring the thickness of your chest voice up in to the head voice. As an artist, you may want to keep the strength of your chest voice as you sing higher. That means taking the thick cords from your chest voice and stretching them out to hit high notes. You hear this all the time in Rock, Pop and RnB music. Listen to the 1st verse of War Pigs by Black Sabbath. Listen to Ozzy when he sings “Masses” and “Oh lord yeah” before the drum breakdown. That’s chest voice on those top notes. Or listen to The Animals sing the “House of the Rising Sun”. Check out the 2nd verse starting from “My father was a tailor”. Or for a Soul example, listen to any Charles Bradley song. Here he is performing a cover of “Changes” by Black Sabbath. Listen to Bradley sing “I’m Going through changes”. In general, belting can get you that strong, chesty sound on those high notes. We now know that high notes and head voice are produced by long, thin vocal folds. Singing high notes in head voice is known as Falsetto. Falsetto happens when the vocal folds are stretched and thin. When the cords are stretched out, they often lose their ability to resist air from your lungs. This results in a breathy, fluty sound. To use our guitar string analogy, hitting high notes in head voice is like playing a whole song on the high e string. As an artist, you may love the sound of that smooth falsetto on the high notes in your voice. It’s also easier for most singers to hit high notes in falsetto since the vocal folds are already stretched and thin. That’s because if your cords are already stretched out, part of the job of hitting high notes is done for you. That’s very different from hitting high notes in chest voice, where you’re trying to stretch out thick cords. It’s there throughout most of the song. Listen to Adam Levine sing the chorus. Levine’s falsetto sounds pretty cool. For a more Rock n’ Roll example, listen to Queens of the Stone Age front man Josh Homme when he sings high notes in “I Sat By the Ocean”. Listen to the second line: “And drank a potion…”. He does that on pretty much every high note. And even though it’s a rock song, it still sounds pretty good. Singing high notes with a blend of chest voice and head voice is known as a mix. This happens when you stretch the vocal folds like in head voice, but with the vertical depth of chest voice. That allows you to sing high notes with the power of your chest voice without straining. So you get the exciting sound of belting, with the ease of falsetto. Another benefit of singing with a mix is gaining more control over your voice. And that’s something everyone wants. The fact is most singers have an area of their voice where they switch from their chest voice to their head voice. This area is called the “bridge” or “break” and can often sound very obvious—like a boy’s voice during puberty. Hilarious voice crack while singing! But when you’re singing with a mix, the chest voice and head voice are in balance. That makes the voice sound strong from bottom to top. Every singer wants more control over their voice. And singing with a mix is the best way to do it. Not only do your high notes sound as strong as your chest voice, but you also eliminate your break! That’s why singing with a mix is one of the best techniques to improve your voice. 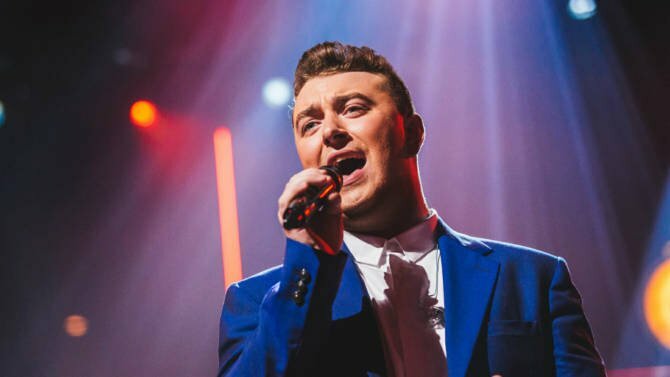 Sam Smith is a master of singing with a mix. Check out the notes when he sings “Stay” in the chorus. Beyonce is an equally talented vocalist and sings with a mix all the time. Listen to the word “Boy” when the chorus comes in. Or check out Lady Gaga. Here’s her song “Million Reasons”. Listen to the power on the words “I” and “Lord” at the beginning of the chorus. She sings them so beautifully. Now that you understand each of the modes of singing high notes and have heard some examples of each, let’s show you how to sing high notes each way. Before you dive in, remember that it doesn’t matter if you can hit high notes if you’re straining your voice. The most important thing is that these notes feel comfortable and sound good. So be patient and those high notes will come. Also, remember to practice every mode for hitting high notes. If you’re a heavy singer, belting high notes may actually hold you back from hitting higher notes. In that case, you may need to balance out the chest voice by singing those notes in falsetto or a mix. Or if you’re more of a breathy singer, try to hit those high notes without falsetto. Singing is all about balance. So you’d be surprised what happens when you try the opposite of your normal tendency. We now know that belting high notes comes from vocal folds that are thick. So in each of the following exercises, we are intentionally keeping the vocal folds thick while going up to a high note. *Remember, if you are a heavy singer, these exercises may actually hold you back from hitting high notes. Consider skipping ahead to the next section. There are few exercises that encourage more chest voice than “Gug” (as in “Gut” with a “G” at the end). Even saying the word out loud – “Gug!” – It sounds like someone is punching you in the gut. There’s a lot of thickness in that “Uh” vowel and the “G” consonant is keeping the vocal folds closing. So let’s bring that up to a high note. Take a breath and say the word “Gug” (like “Gut” but with a “g” consonant at the end) a few times at a strong volume. Remember to annunciate the “G” consonant strongly. Find a comfortable starting pitch (try E3 for guys and C#4 for girls), take a breath and sing the word “Gug” on this pitch. Try to keep the same strength as your speaking voice. Now, let’s bring that up to a high note. Take a breath and sing the following scale. As you sing the scale, try to make the high note just as strong as the first note. Here’s the scale for Men. Here’s the scale for Women. If you don’t have a piano handy, don’t worry, here’s a section from my How to Hit High Notes video that demonstrates the exercise. The “Gug” isn’t the only exercise that encourages a lot of chest voice. Sometimes a more consonant like “B” is just what your voice needs. Try saying “Buh” (as in “butter) a few times. Feel how the air explodes off your lips every time you say it? Let’s use that power on some high notes. Take a breath and say the word “Bae” (like “Bat”) a few times at a strong volume. Remember to enunciate the “B” consonant strongly. Find a comfortable starting pitch (try E3 for guys and C#4 for girls), take a breath and sing the word “Bae” on this pitch, keeping the same strength as your speaking voice. In the last two exercises, we relied pretty heavily on the consonant to give us the chesty sound we’re looking for. This time, let’s put a little more emphasis on the vowel “Ae” (as in “Apple”). That “Ae” vowel is a recipe for chest voice. Say “Ae” at a strong volume to give you an idea what I mean. Now emphasize the “Ae’ vowel at the beginning. Take a breath and say the word “Nae” (like “Nasty”) a few times at a strong volume. Remember to enunciate the ugly “Ae” vowel strongly. Find a comfortable starting pitch (try E3 for guys and C#4 for girls), take a breath and sing the word “Nae” on this pitch, keeping the same strength as your speaking voice. Some vowels encourage more chest voice than others. The “Ah” vowel (as in “Awesome”) is definitely one of them. Putting the “B” consonant in front of it helps the cords close even more. Add them together and you’ve got a recipe for hitting high notes with chest voice. Take a breath and say the word “Bah” (like “Bother”) a few times at a strong volume. Remember to enunciate the “B” consonant strongly. Find a comfortable starting pitch (try E3 for guys and C#4 for girls), take a breath and sing the word “Bah” on this pitch. Try to keep the same strength as your speaking voice. Sometimes singing hard consonants like “G” or “B” can backfire when trying to hit high notes. This usually happens when the voice is already a little tight or heavy. In this case, it can be good to use a more neutral consonant such as “M”. This can give you exactly the balance you need to belt out those high notes. Take a breath and say the word “Mah” (like “Mama”) a few times at a strong volume. Find a comfortable starting pitch (try E3 for guys and C#4 for girls), take a breath and sing the word “Mah” on this pitch, keeping the same strength as your speaking voice. Hopefully these exercises helped you find a nice strong, belting sound on those high notes in your voice. Remember, if you feel any strain, you are doing something wrong. Try one of the other modes for hitting high notes and then come back. We know that high notes and head voice come from long, thin vocal folds. So let’s take a look at some exercises that are guaranteed to stretch out your cords so you can hit higher notes than ever. Keep in mind that the goal here is to sing high notes in falsetto. If you’re a heavy singer, you may be tempted to hold on to your chest voice but that will kill your falsetto. So if you’re having a hard time finding the breathy falsetto, try to focus on “letting go” of the tone as you sing higher. Vocal sirens can help anyone find their head voice. Unlike some of the following exercises, sirens don’t have to be done on any particular scale. So in addition to helping you find your falsetto, they’re easy to practice anywhere you go. Take a breath and say the word “Wee” (like “week”) on a high pitch as if you were really excited. Try imagining that you’re on a roller coaster and yelling “Wee” on a high note. While you sing the “Wee”, in the same breath, gradually start lowering the pitch until you come all the way down to the bottom of your voice. You should be singing “Wee” from the top to the bottom of your voice each time. Do the same exercise with the word “Woo” (as in “Whoop”) on a high pitch and coming down. Try to imagine cheering at a basketball game on the “Woo” to get the feeling. Now that you’ve found your falsetto, let’s put that breathy tone on a scale. Scales are a great way to get the feeling of singing a song without having to worry about the words. In this example, we’ll use the “ooh” vowel (as in “ooze”), which is light enough to sing falsetto all the way throughout your range. Take a breath and say the word “ooh” (like “ooze”) a few times at a normal volume. Keep it light and airy like an owl hooting an “ooh” sound. You may feel like you’re whispering. Find a comfortable starting pitch (try C3 for guys and G3 for girls), take a breath and sing the word “ooh” on this pitch, keeping the tone breathy and hooty. Take a breath and sing the following scale. As you sing the scale, try to “let go” of the chest voice as you go up. Even though we’re singing in falsetto, we can still get some ring on the high notes. The “W” consonant provides a little more resistance to the air than a pure vowel (such as “ooh) and that allows the note to “ring” a bit more brightly. Let’s use this to get some ring on those high notes. Take a breath and say the word “wee” (like “week”) a few times at a normal volume. Keep it light and airy like an owl hooting an “ooh” sound. Find a comfortable starting pitch (try C3 for guys and G3 for girls), take a breath and sing the word “wee” on this pitch, keeping the tone breathy and hooty. Take a breath and sing the following scale. As you sing the scale, try to “let go” of the chest voice tone as you go up. Now that you’ve found your falsetto starting from the bottom part of your voice, let’s start going straight for those high notes. The octave down scale starts you straight from the top of your voice and brings you down to the chest. When you’re doing these exercises, it’s important to make sure that you’re actually starting on the right note. Remember to “let go” of the chest voice so that you start the top pitch in falsetto. Take a breath and do a quick vocal siren on “ooh” (like “ooze”). Keep the top note light and airy like an owl hooting an “ooh” sound. Take a breath and sing the following scale, keeping the tone breathy and hooty as you go from top to bottom. We now know that the “W” consonant can get you a lot more ring on those high notes. So let’s use that “W” on the highest notes in your voice. Take a breath and do a quick vocal siren on “wee” (like “week”). Keep the top note light and airy like an owl hooting an “ooh” sound. I hope that you found these falsetto exercises helpful. Remember to keep the tone hooty and breathy and you’ll be singing in falsetto in no time. Remember, if you tend to sing a bit breathy, singing in falsetto may only take you so far. Consider checking out the sections on Belting and Mix. 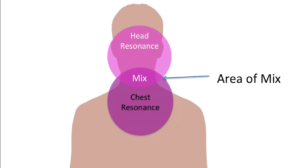 We now know that a mix is a blend of chest voice and head voice. That means having the stretch of the vocal folds in head voice, but with the vertical depth of chest voice. So let’s work with some exercises that will help you sing with a mix. While you’re practicing these exercises, try to keep the sound consistent from the bottom to the top of the scale. Remember, the goal is to eliminate your break, so try to make your transition from chest voice to head voice as smooth as possible. For heavier voices, you may find it helpful to imagine that the high notes you’re hitting are beneath you, rather than above you. This will prevent you from pushing for them. For lighter voices, you’ll probably find it helpful to be more aggressive on the exercises. The lip trill is one of the safest and most powerful exercises to hit high notes. That’s because it acts like a compressor on your voice. The lip trill boosts the notes that you would normally sing in falsetto, and reduces the strain on the notes you might yell. So it’s perfect for finding the balance of chest and head voice. And that means singing with a mix! Blow out some air to make your lips flop together. While your lips are flopping together, say the vowel “Uh” (as in “Utter”). It should have a bubbly sound like you’re under water. Now find a comfortable starting pitch (try C3 for guys and G3 for girls) and allow the lips to flop together while you sing the “Uh” vowel. Sing the following scale. While you’re singing, pay close attention to the pitch. Make sure that you’re singing each note on pitch and the lip trill will pretty much take care of the rest. There are few exercises as weird sounding at the “Ng”. But the “ng” exercise is amazingly effective. I’ve seen singers that have been struggling to hit high notes all their life succeed on the “ng”. That’s because it gives you the perfect balance for the vocal cords. Say the word “Rung” (as in the “rung” of a ladder) out loud at a comfortable volume. Repeat the word but this time emphasize the “ng” consonant at the end of the word and hold it. It should feel nasal and buzzy. Try to isolate just the “ng” consonant and sing it on a comfortable pitch (try C3 for guys and G3 for girls). Sing the following scale on the “ng”. As you sing up in the scale, try to keep the “ng” just as buzzy and nasal as the first pitch. Both the lip trill and the “ng” are great at getting you to find the feeling of singing with a mix. But neither of those exercises are very close to true singing. So let’s open things up a bit with the “Gee” exercise. While saying the word “Gee”, make sure that you are annunciating the “G” consonant. Just like the “ng” exercise, the bratty “Nay” is pretty silly. As a matter of fact, I’ve published a video demonstrating the bratty “Nay” exercise. I’m confident it will help you! That’s because the bright, bratty sound we’re going to use keeps the vocal folds together like in chest voice, while the “ay” vowel gives us the stretch we find in head voice. Begin by saying the word “Nay” (as in “Neighbor”) in a bratty way. The tone should be buzzy and nasal sounding. We’re looking for a bright, brassy, “witchy” tone. Now find a comfortable starting pitch (try C3 for guys and G3 for girls) and begin to sing the bratty “Nay” on this pitch. Riding on the coattails of the previous exercise, let’s use that bratty sound to get an even stronger sound on those top notes. So far in our mix exercises, we’ve been working with warm ups that will help you find a mix of the chest voice and head voice. But sometimes, we want that powerful sound of the chest voice on a crazy high note. The “Nae” exercise is perfect for getting a belty sound without straining. Begin by saying the word “Nae” (as in “Nasty”) in a bratty way. The tone should be ugly and nasal sounding. We’re looking for a bright, brassy, “witchy” tone. Now find a comfortable starting pitch (try C3 for guys and G3 for girls) and begin to sing the bratty “Nae” on this pitch. With any luck, you’re found a beautiful mix to get you singing those high notes with strength and power. It’s an amazing feeling to go for a high note and know it’s going to be there. But singing with a mix doesn’t come out of a can. So be patient and work on these exercises until you’ve gotten them perfect. As I said before, each mode of hitting high notes is totally legitimate. But there are some limitations to hitting high notes with chest voice and head voice. When you’re belting, for example, you get a very strong sound on the highest notes in your voice. But belting can activate the swallowing muscles in the throat, tightening the pharynx and pressing the vocal folds. All this constriction can really limit your range and usually doesn’t sound very good. That’s because, when you’re belting, usually your muscles strain and you end up singing flat. So if you already sing heavily, learning to belt more may not be the best way to hit higher notes. Falsetto, on the other hand, can make those high notes much easier to sing. But falsetto doesn’t have much power. Unlike singing with chest voice, the vocal folds are just too thin in falsetto to resist the air from your lungs. That leads to a lot of air leakage in your sound. And this breathiness prevents you from singing with a strong volume. So while falsetto may not be strainy like belting, that lack of power can lead you to push harder to compensate. It’s no secret that I think singing with a mix is the best way for hitting high notes. Not only are you able to hit high notes with power, but you also eliminate your break when singing from low to high. Whether you tend to sing lightly or heavily, I strongly suggest you spend some time developing your mix voice. It’s the perfect combination of both worlds. Of course, learning to sing with a mix takes practice and the right vocal technique. But I promise you it’s worth it. If you’re still having trouble finding those high notes with a mix, feel free to Book a Free In-Person Lesson.